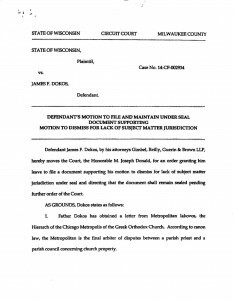 As promised, I am sending you a copy of the Motion filed by Dokos’s attorneys to file “under seal” a letter from Metropolitan Iakovos of Chicago. The contents of that letter remain secret and should be released to the public, now that there has been a disposition of the case. Whatever the contents of that letter may be, it is obvious from the response of the State, and from the subsequent ruling of the Court denying the defense motion to dismiss the criminal charge on 1st Amendment “Separation of Church and States” grounds and because “this should be handled as an internal church matter”, that the Court was not convinced by whatever the Metropolitan had to say. 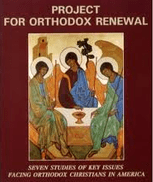 The responses of the late Emanuel C. Demas, General Counsel of the Archdiocese (Exhibit D to the State’s response); as well as the letters from the Executive Director of the Archdiocese, Jerry Dimitriou (Exhibit C) and Cathy Walsh, legal committee chair (Exhibit F) are self-explanatory and correctly point out that there is nothing in Orthodox Church doctrine that trumps the criminal laws of the State of Wisconsin concerning the theft of trust funds by a priest, or which allow a Bishop or Metropolitan to excuse the theft by claiming to have authority to direct funds belonging to a parish for the personal use of the priest, including making payments to various bishops and hierarchs! There is no compelling interest in keeping that letter sealed; in fact, there is a compelling interest on the part of the faithful of the Orthodox Church in the United States to know what one of its Metropolitans wrote to the Judge handling the criminal case, in support of the priest’s lawyer’s motion to have the charges dismissed. We have seen what happened to the Roman Catholic Church as a result of the clergy sexual abuse scandal.. which was certainly made much worse by the code of silence and efforts by bishops and cardinals to “protect the church” by covering up criminal conduct and handling it “internally” rather than reporting the crimes to the authorities for prosecution. The hierarchy of the Greek Orthodox Church, and certainly of the Metropolis of Chicago, have apparently not learned from others mistakes. The only way to ensure that appropriate reforms are enacted in the Church, is for the public to be fully informed about what church leaders do in response to wrongdoing in the church. The secret letter from the Metropolitan to the Court should be made public. 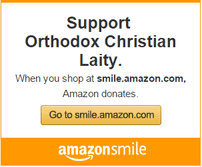 Previous ArticleIS IT TIME TO DO AWAY WITH LITURGICAL GREEK?